We look for the hidden financial trends and dynamics which show whether or not the trading activity undertaken is creating or destroying value. Rather than relying on ‘surface numbers’ such as EBITDA etc (see Methodology), our analysis goes right to the heart of the financial data. Our in-depth investigations and research deliver a truly transparent and unrivalled perspective of business performance. Click on report title or image to access more information. We’re So Rich It’s Unbelievable! 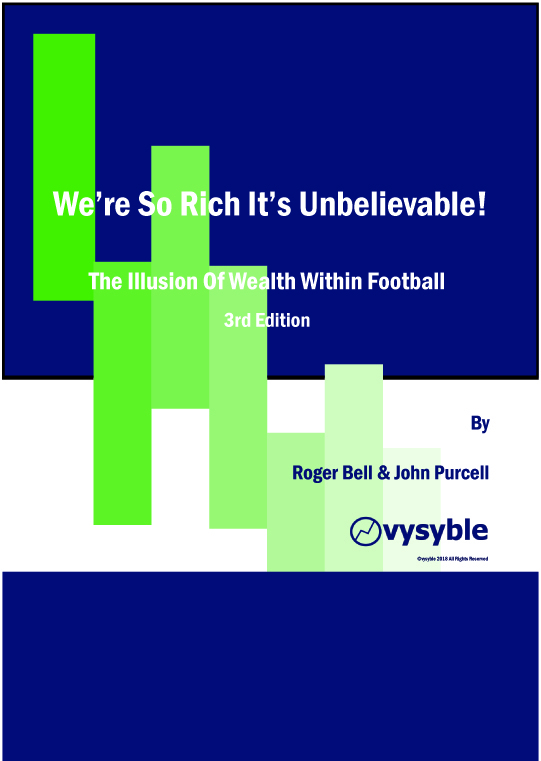 – The Illusion of Wealth Within Football. 3rd Edition. See why the economic profit and loss data points firmly towards a European Super League. This unique and transparent financial view of the top flight of English football uncovers the economic profit and loss trends behind a division that has earned £26bn in revenue and yet achieved economic losses of £1.9bn over a 9-year period! Our annual investigation into the financial and economic performance of the Premier League clubs going back to 2009. With data stretching back for 9 years, what has been the effect of the new bumper domestic TV deal on longer-term trends? How have individual clubs fared in their economic and financial performance during the 2016-17 season? Why is a European Super League the obvious next step for the Premier League’s top clubs? All this and much, much more in this expanded 82-page edition of our annual review of the top tier of English football. 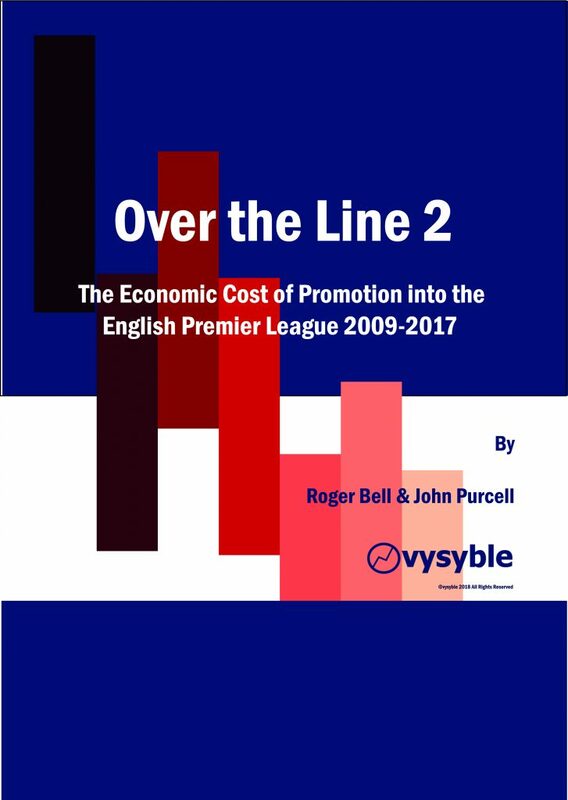 Over The Line 2 – The Economic Cost of Promotion into the English Premier League. 21 clubs have experienced promotion into the Premier League between 2009-17. Only one managed to win promotion and achieve an economic profit at the same time. We take an in-depth look at the economic performance and the depth of economic losses endured by clubs during their promotion-winning season into the English Premier League from 2009 to 2017. See just how ‘keen’ club owners are in their attempts to get into the top flight of English football. 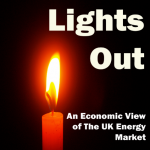 Lights Out uncovers the real financial dynamic at work within the UK’s Big Six energy suppliers. In the face of declining capacity and ageing infrastructure, the suppliers have struggled to achieve economic profits and have actually destroyed over £129bn of shareholder value since 2007/8. The mix of financial stress, limited capacity and the lack of a cohesive infrastructure renewal strategy from the Government does not bode well for the country as a whole. To download your FREE copy, please click on the title or the image. 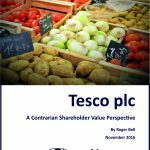 Tesco – A Contrarian Shareholder Value Perspective – we uncover the true story hidden in this company’s balance sheets and highlight the real challenges that senior management must address to restore this business to former glories. Click on the title or the image to find out more.